It would just be a matter of time for Marcelo until Real Madrid dumps him out permanently in the next transfer window. Following the resurgence of Sergio Reguilon, the Brazilian has lost his place and, even a new manager seems could not save his career if the Los Blancos decide to replace Solari. Fortunately, Juventus are willing to offer him an escape route. Marcelo now has agreed to join the Old Lady on a 4-year-deal, according to a Calcio Mercato. Before Reguilon taking the Bernabeu by storm, the 30-year-old had been Madrid's undisputed number one. Many know that Marcelo is one of the best left-backs in the world and one of Cristiano Ronaldo's closest friends. However, the Old Lady might be forced to sell Alex Sandro if the Madrid player arrives. Massimiliano Allegri's fate could be sealed if Juventus do not manage to pass through Champions League quarterfinal. 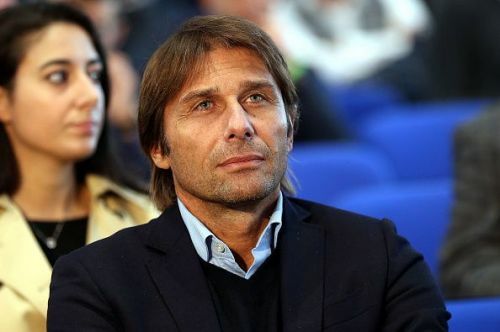 Former Chelsea manager Antonio Conte is the favourite to take over if Juventus decide to sack the former AC Milan coach. Conte has been out of jobr since the Blues decided to sack him months ago. However, Conte would not want to come alone to Juventus. The 49-year-old wants to take Matthijs de Ligt with him, according to a report from Tuttosport. The Italian views de Ligt as a successor to Juventus's greats such as Chiellini and Barzagli. Barcelona also have stated interest in the Dutch defender and could be prepared for a fierce battle with the Old Lady. With interest from many European giants, de Ligt would surely not come for cheap to any teams. Juventus would need to sell several of their key players to lure the Ajax's most prized defender. Following a disastrous result against Porto in the Champions League round of 16, AS Roma has decided to dump Eusebio di Francesco from their managerial position. Roma reportedly want to appoint Claudio Ranieri as their caretaker manager until the end of the season. However, Eusebio could not be the only one who left the Italian giant as Monchi also has prepared to leaves on Friday, Football Italia reveals. The Spaniard has been in charge as Roma's sporting director since 2017. Arsenal are willing to take the 50-year-old to the Emirates following Sven Mslintat's departure.